For homeschool folks participating in the Hogwarts Correspondence Courses, here are some games to supplement the coursework. Shh! Don't tell anyone they are educational!! 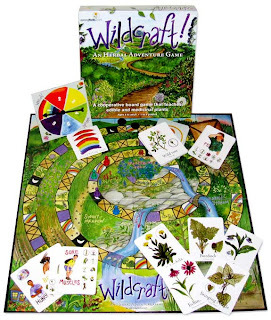 Wildcraft: An Herbal Adventure Game: A cooperative board game that teaches edible and medicinal plants and can be adapted to different age groups. This one worked fabulously with the Hogwarts "herbology" lessons! 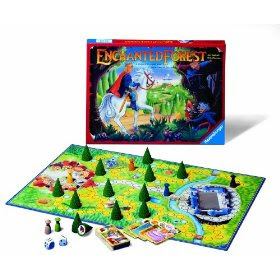 Enchanted Forest: Find "once upon a time" fairytale treasures & inherit the kingdom! Cinderella's glass slipper, Aladdin's lamp, Puss' boots, the Emperor's crown, 13 magical surprises hidden in the Enchanted Forest. 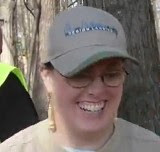 Explore the lovely forest, peek at treasures. When the king asks for help, race to the palace to become the next to take the throne. This one is recommended for fostering imagination and teaching emotional intelligence, something every responsible Hogwart School of Witchcraft and Wizardry graduate needs to know! 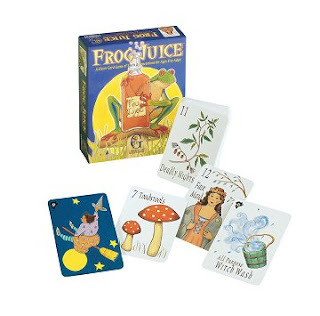 Frog Juice: A Clever Card Game of Spells & Concoctions. Cast spells, brew concoctions, melt witches...Use a smidgen of math and a pinch of probability. Perfect for the Hogwarts "charms and potions" classes -- a wizard does need to know his or her math to correctly concoct those potions! 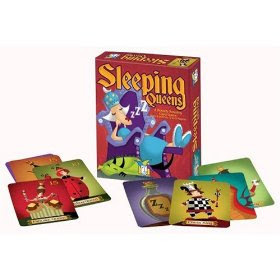 Sleeping Queens: A Royalty rousing Card Game. Rise and Shine! The Pancake Queen, The Ladybug Queen and ten of their closest friends have fallen under under a sleeping spell and it's your job to wake them up. Use strategy, quick thinking and a little luck to wake these napping nobles from their royal slumbers. Play a knight to steal a queen or take a chance on a juggling jester. But watch out or wicked potions and dastardly dragon! The player who wakes the most queens wins. Logic and probability are important for any wizard protecting muggles and others from danger!